Of course, the issue of privacy has come up in several forum discussions. 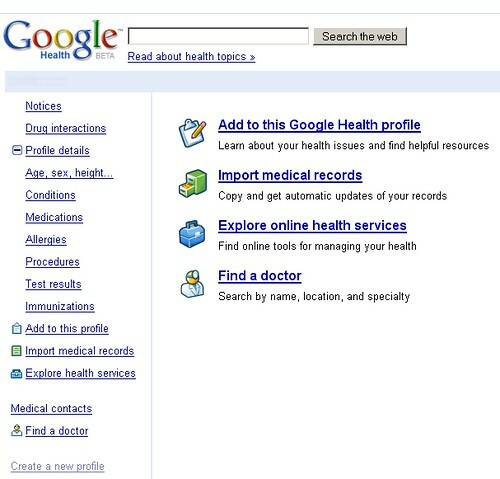 It's enough that Google has other information about so many millions of users, but health is a step too far. Some residents of New Orleans have no medical records as a result of Katrina! I'd love to know the adoption rate of Google Health in the State of Louisiana as compared to the rest of the US. It'd be nifty to see if Louisiana adopted this system and made it mainstream. Additional blog discussion is at Techmeme and forum discussion continues at Cre8asite Forums, Search Engine Watch Forums, and DigitalPoint Forums. Previous story: Possible Ask.com Search Update?